I’ve been writing a good bit lately about the trials and tribulations and triumphs and benefits of self employment—mostly as it relates to blogging since that’s the business I’m engaged in. But this is a good time to highlight one critical point—as the title of this post reads, bogging is NOT a get-rich-quick scheme! Now that point may be obvious to the thousands of people who have built successful blogging businesses, and even more so to those who have tried to do it but haven’t been successful. But to the vast majority of the non-blogging crowd and to those who might aspire to join the ranks, that point may not be as apparent. Helping to distort reality is the fact that blogging has only been around for a few years—I’d say ten at best. Businesses that create success stories tend to conjure up thoughts of quick riches, especially when the business in question is at least loosely related to technology. Maybe it’s human nature, but anytime we see anyone who is succeeding at nearly anything, we assume that it was probably a fairly easy ride up. We think this way because we only see the end result: a person who is succeeding at what he or she is doing. We weren’t there to see the climb to success—the false starts, the blind leads, the annoying pattern of succeeding at one effort but failing at three others—all are part of the process of building anything that’s worthwhile, including a successful blogging business. If you are considering blogging as either a career or just as an additional income source, going in with the right attitude will help you move in the right direction. That said, put any idea of get-rich-quick out of your mind–otherwise it’s probably best not to even attempt the journey. Understand this—the higher up you are on the desperation scale, the more you need some sort of quick hit. That is, a venture that will put thousands of dollars in your pocket within the next 3-6 months. If that’s your situation, I can save you even more desperation–don’t try blogging! It won’t help your situation. Unemployment would be the worst circumstance to attempt a blogging career from. Sure you have plenty of time on your hands, but you need a paycheck first and foremost. My advice is to get some sort of job—any job you can—then start building a blogging business as a side venture if blogging is what you want to do. Virtually all the other reasons listed above could be good situations to attempt the climb from. You have a cash flow already, but you’re looking to increase it. Blogging can be perfect as either a supplemental income or as an eventual career path. Just remember though, it won’t happen overnight. Having your own blog is the most basic form of blogging as most people understand the term. There are quite literally millions of blogs—I recently heard 150 million plus worldwide—so it’s a crowded market. That’s also why it’s so hard to make money from a blog. You CAN make money at it—I am—but you’ll have to be consistent about it and do it for the long-term. Give up after a few months and you’ll join the 99.something percent of blogs who either never make money or go dormant (probably because they never make any money). But whether you fail or ultimately succeed at building your own blog, one thing is almost certain to be true: you won’t make any money at the beginning. I made no money for the first four months that I had my blog. I’m not being figurative in saying “no money” either; no money as in not one red cent. At the beginning of the fifth month I added Google Adsense to my site and made a whopping $5 for the whole month. Get-rich-quick? Not on your life! My wife and I used to joke about having enough to buy a Happy Meal at McDonalds at the end of the month. In fact, we began measuring my blog income in Happy Meals instead of dollars. How much you can make on a blog and how quickly you do it will depend on a lot of factors that are unique to your own circumstances and abilities. Just don’t expect it to happen quickly. 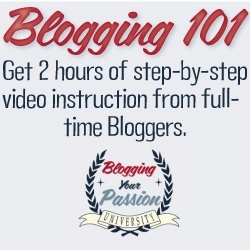 But if you want to shorten the learning curve, check out Blogging Your Passion University. It’s a course that can cut your start up phase from a couple of years, down to just a few months. You’ll be making money from your blog in no time. If there is a path to blogging riches, it’s probably the “blogging entrepreneur”. That’s someone who doesn’t run just one blog, but many, maybe even dozens. The blogging entrepreneur builds up a portfolio of “web properties”, blogs that are making money or can be turned into money makers. It’s similar to an investor who builds up a portfolio of various stocks, except that it’s more hands on. Once you buy the websites you then have to DO things with them to turn them into money makers, or to make the money makers make even more money. As you might guess, that’s an effort that’s both time and labor intensive, so there’s no get-rich-quick element to it what so ever. In fact, this one will cost you money—you’ll have to invest your own money in order to buy the sites. It’s a way to get rich perhaps, but it won’t happen quickly. Freelance blog writing is probably the best way to make money quickly in anything blog related. You can make a couple hundred dollars per month pretty quickly writing for just a couple of sites and begin getting it within 30-60 days of starting. As you keep at it and add more sites to your client list, you can increase your writing income and even push it into the thousands per month. But even this can take time. If you’ve never written for a blog before it may take a few weeks or months to get around the web posting intelligent comments on articles or offering to write guest posts for free. It’s a matter of building credibility and a writing portfolio of some sort. How long that will take will depend on your skills as a writer and your ability to spin a topic in a thought-provoking direction. I’ve been freelance blog writing for a couple of years and continue to do it even now. 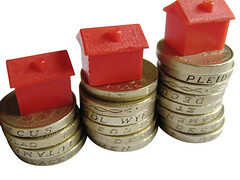 It’s an excellent form of income diversification where you can make some decent money without working too hard. I know of some people who have turned this into a six figure annual income, but like all businesses, it takes years to get to this level. Once again, no get-rich-quick here either! I’ve been blogging for three years, and I not only love doing it, but I highly recommend it to anyone who’s considering it. But in the interest of full disclosure, you DO need to understand that it isn’t in any way a get-rich-quick scheme. Setting the proper expectations can make the transition a lot less stressful—and more likely to succeed. Keep coming back for more on this topic! Have you ever thought of blogging as some form of get-rich-quick? Have you tried it and found out how true the opposite is? A very insightful and informative article. I have to thank you for this. Indeed each and every word you mentioned are correct. I have been blogging for more than 5 yrs but as a hobby or passion. But I am working on a blog for 6 months as a pro and truly saying its just 10$ a month.there are millions of blogs and the rate of production is also huge but 80% of them collapsed within six months will collapse in the blogosphere. So, consistency and determination is the key. Google also keep new blogs in trial phase for almost a year. So, beginners must close eye for money for a year at least and keep updating with relevant and unique contents so far. There are some sites that start making decent money in just a few months but they’re the exception. It’s important to go in with the right expectation (that it will take a while) that way you’ll have the patience to stay the course. If you expect to be an overnight sensation you’ll almost certainly be disappointed.